Peasant blouse update :) Notice! 2015 Nov 30: Christmas preorders have closed, thank you everyone! Check twitter for latest updates! 2015 Nov 25: Thank you everyone for your orders and prompt payment! I have to close the order now to keep the numbers manageable and I want to make sure to ship everything before December! This entry is a documentation and photos of the items. Below is Kizuna in Smart Doll L bust, the top she is wearing will fit Dollfie Dream L bust and Dynamite bust as well, due to that the straps can be tied as tightly or loosely as needed. Kizuna models the hat together with the top ^o^ a bit more on the hat at the bottom of this post. 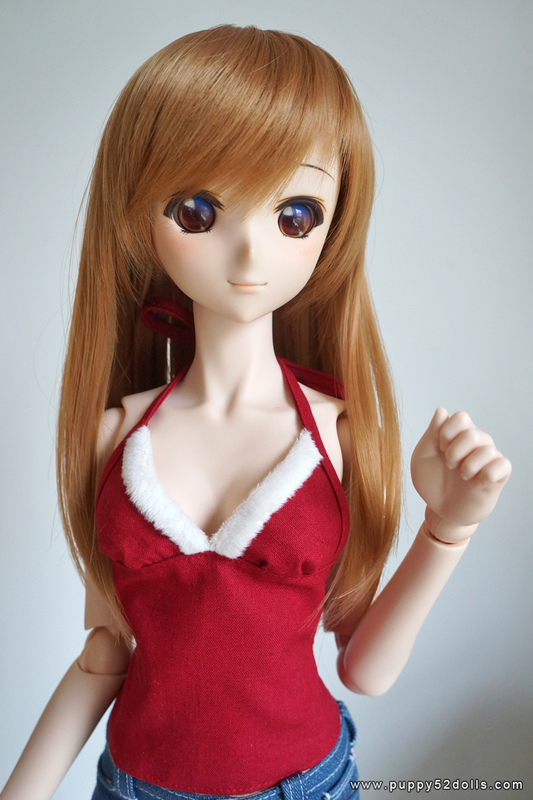 For those who prefer a bit more “coverage” here’s a picture of Mirai in S bust, wearing the top made for L bust. It fits a little loosely I think? 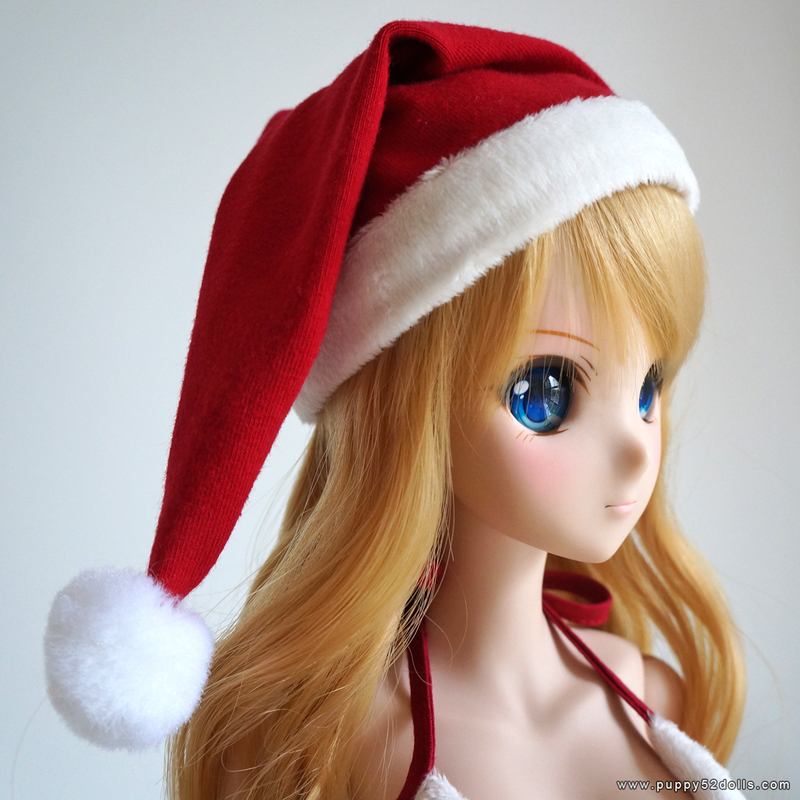 Santa hats are listed separately, and the material I used is a knit fabric, unfortunately the red fabric may stain over time, not instantly but if in direct contact with vinyl over a long period there may be some colour transfer, BUT wearing it for a day over the wig is okay! Also it’s time to bust out the link for the Santa hat tutorial ^^/ the steps are not exactly the same as the ones I listed — for those I listed, I hand sew the furry trim to the inside of the hat, rather than machine sew, but I hope it will help you make something for your dolls!